How long do our E-Ink friends have left? The e-reader revolution may be winding down as new figures suggest the influx of cheap tablets is killing off dedicated digital reading devices. 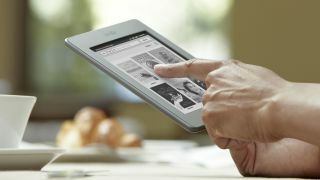 Research by iSuppli claims that the e-reader market has already seen its peak back in 2011, when 20 million devices were shipped. The stark report reckons the sector will experience a heavy decline over the next few years, with shipments falling to just 7 million by the time 2015/16 rolls around. There are no surprises as to where the report is laying the blame for this demise – budget tablets have taken the world by storm over the past six months, and consumers are now able to get more for their money at the lower end of the market. With the Google Nexus 7, Amazon Kindle Fire HD and Nook HD all offering featured-packed, yet affordable experiences for not a lot more cash than an e-reader, it's clear to see why people are opting for full HD displays and the ability to download apps, play games, watch movies and listen to music on top of the reading experience. Of course the big advantage the current crop of e-readers have is their e-ink displays, which mimic paper far better than the backlit displays on our tablets, thus allowing you to read for longer without the fear of damaging your eyes. Do you believe that the writing is on the wall for e-readers, or can they exist side by side with these budget tablet offerings? Let us know in the comment box below.